Home / The Pub / Festivals / Luck O’ the Irish… Stout? Top o’ the morning to ya, travellers! 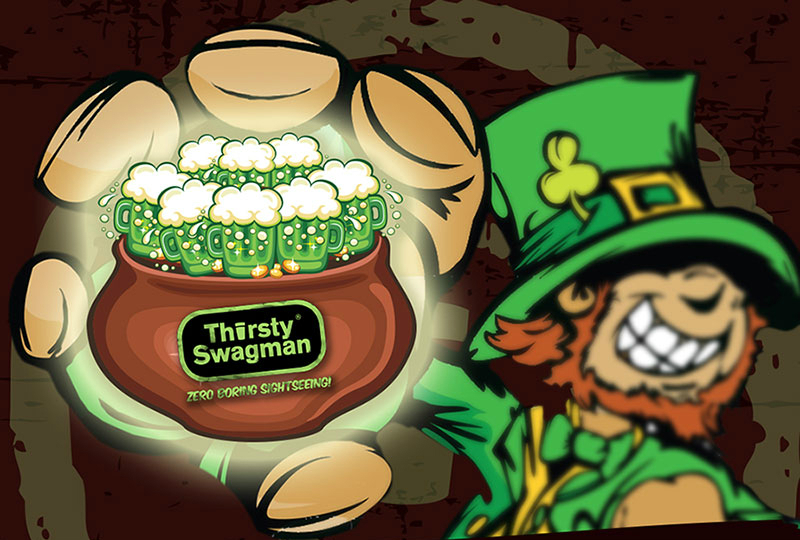 With St. Patrick’s Day upon us, let’s take this opportunity to brush up on some of our Irish beer knowledge. After all, several lads in the 17th and 18th centuries worked really hard so that today we could have something delicious to squirt green food colouring into. It’s true—Ireland isn’t all bagpipes and dancing jigs; they brew a little bit too. (Which actually really helps with the step dancing. Trust me, I know.) 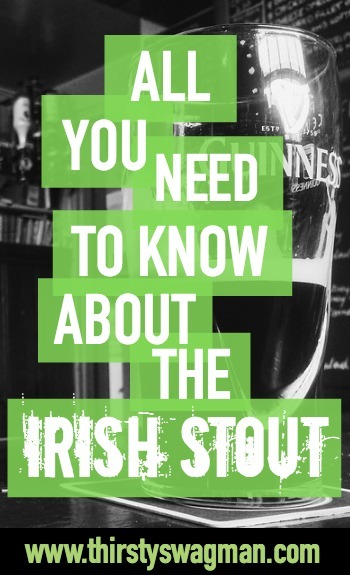 A lot of great beer has come out of the Emerald Isle and none more popular than the Irish stout. Who knew the pot of gold at the end of the rainbow was actually a pint of the dark stuff? A stout is a dark beer brewed using roasted malts in addition to the other four beer ingredients: water, yeast, hops, and tiny bits of Heaven. But to talk about stouts, we first need to talk about porters, the stout’s lighter, weaker cousin. Looks like someone hasn’t been eating their corned beef and cabbage, am I right? Actually, porters originated in London and became popular with the English working class because of their stronger flavour, longer shelf life, and lower price tag. In the 17th century, the word “stout” was used to describe any strong beer and the term soon became the go-to descriptor for the stronger versions of porters and also for those citizens with a considerable love for the potato. These stout porters eventually made their way to Ireland where a man named Arthur Guinness took matters into his own hands. As a wee lad, Arthur Guinness was educated in the craft of beer making by his father, the personal brewer to a protestant archbishop. Nectar of the gods, indeed. In 1755 Arthur opened his first ale brewery outside Dublin with a small amount of inherited cash. His dead godfather, the archbishop, would have wanted it that way, further proving beer’s divine nature. In your face, sceptics! Brewing ales proved well for him and just three years later he moved into Dublin and opened the brewery at St. James’s Gate—the current location of the Guinness brewery and storehouse—where he signed a 9,000-year lease. That was either the wisest or the dumbest business move in history. Speaking of cuckoo, in 1761 Arthur married Olivia Whitmore and set out on a quest that resulted in 21 children. I believe the mystery of the Guinness advertising campaign has been solved. Clearly, “My Goodness, My Guinness” was referring to Arthur’s need to end the breeding madness. In 1799 the brewery expanded and began concentrating all of its energy on producing porters because, let’s be real, with 21 kids who’s got time for multiple areas of focus? The Guinness Draught Irish stout we’ve all come to know and love wasn’t developed until 1959 and is much weaker than in centuries past with an alcohol content of just 4.2%. Ireland’s signature beer is distinctly black with a creamy white head and served out of that weird tap on the bar that doesn’t look like the others. It’s velvety texture results from the combination of carbon dioxide, nitrogen gas, and leprechaun giggles. I bet you didn’t know that last one, did you? 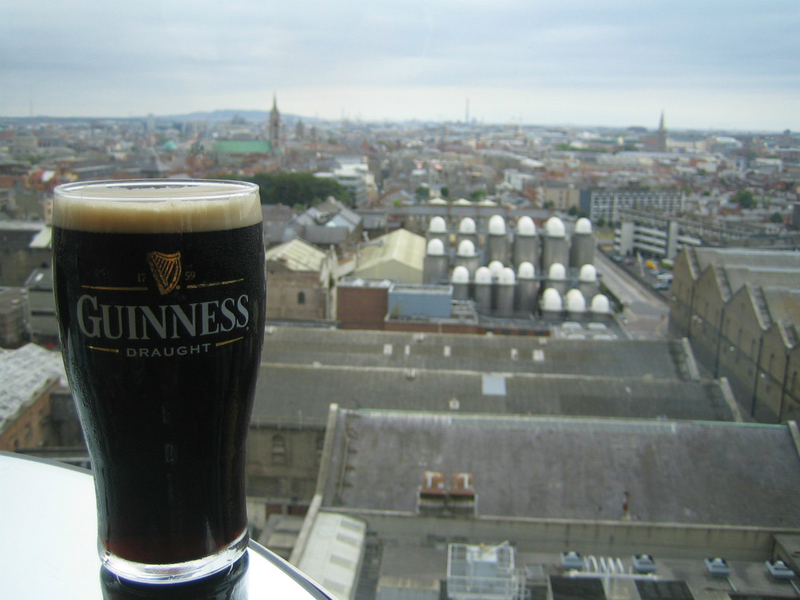 Today, you can visit the Guinness Storehouse at the St. James’s Gate brewery in Dublin, the most popular tourist attraction in Ireland. The Storehouse is seven floors of Irish beer heritage, a tasting experience, gift shops, restaurants, and 360° views in the world famous Gravity Bar. So get your lips off that Blarney Stone and onto a pint of Guinness… like now! Feeling a little green with envy? Wishing you were shamrockin’ out in Dublin with a pint of Guinness in your hand instead of at your desk holding that rubber band ball you’re so proud of? 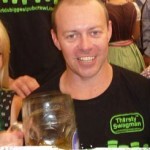 Check out Thirsty Swagman’s Ale of Man tour and turn your draught dreams into a reality.